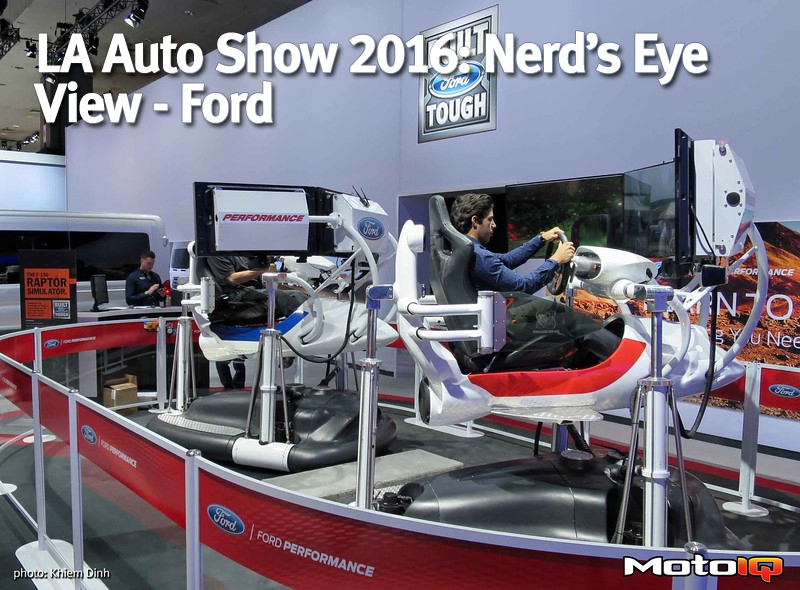 Ford has been pushing a lot of performance within their product lineup. Much of that pushing has taken the form of placing their Ecoboost technology in everything they make. However, they do have some other goodies too that don’t involve turbos. For the type of guys who got pissed that Ford put a twin turbo V6 in the Ford GT, they’re really going to be pissed about what Ford did to the new Raptor. Gone is the 6.2L iron block V8- replaced with 3.5L aluminum block V6 with a pair of turbos. The V8 was rated at 411hp@5500rpm and 434 lb-ft @4500. 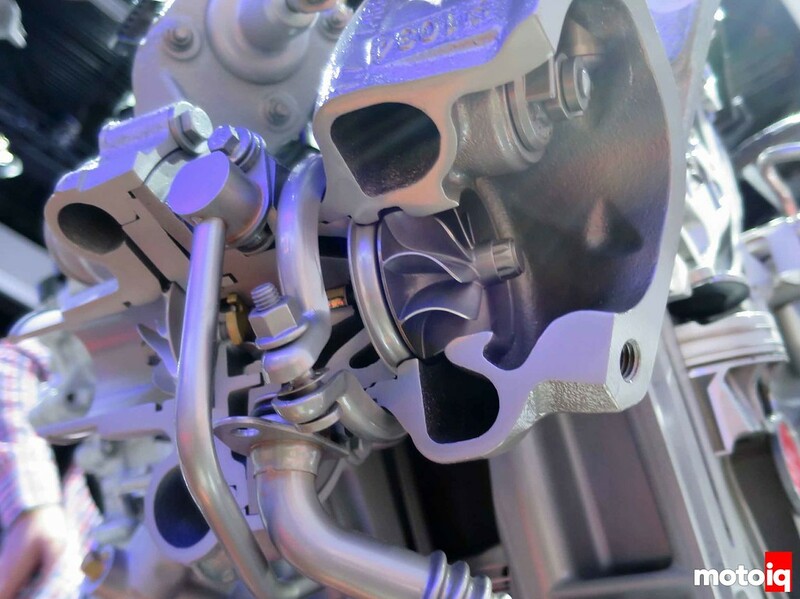 The new V6 comes in with 450hp@5000rpm and 510 lb-ft@3500rpm. So, the twin-turbo V6 has more power and torque at lower rpms. Even with all the extra turbo bits, I’m guessing the V6 package is lighter because the engine is shorter by a cylinder, along with changing the block material from cast iron to aluminum. For turbo sizing, I consider 100hp/L typical for a street car with a fat bottom-end. 150hp/L is typical for a moderate performance car like an Evo or Golf R. Trade a little bit of that grunt at 2000rpm for more top-end. 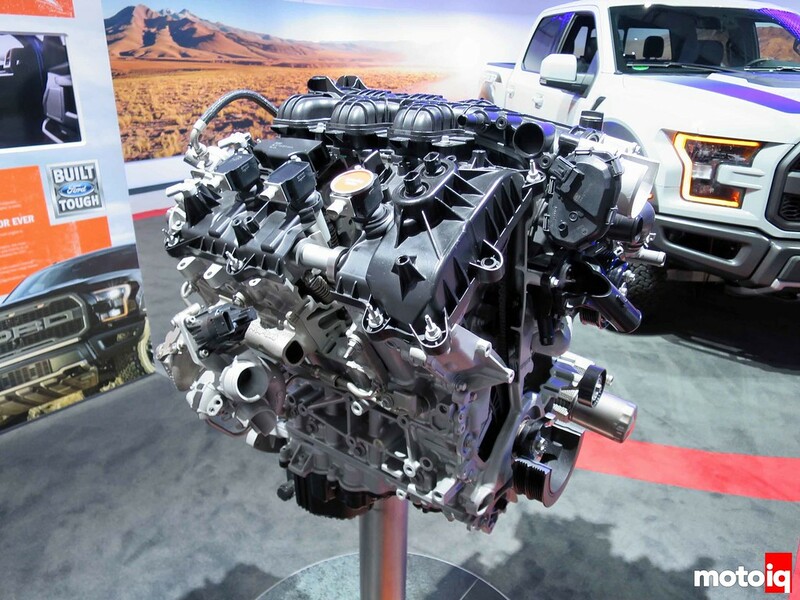 This new Raptor engine comes just under 130hp/L, so it should still have pretty decent low-end and massive mid-range. If the bottom-end is similar to that of the Ford GT, well, it should be reliable past 600hp. And, we all know how well turbo engines take to tuning. 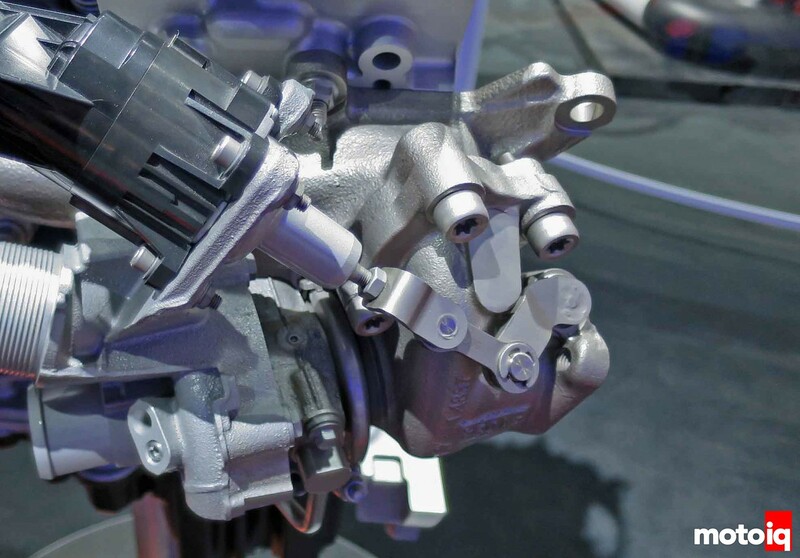 The Borg Warner turbos use linear electronic actuators which necessitates the extra little linkage between the actuator and the wastegate arm. 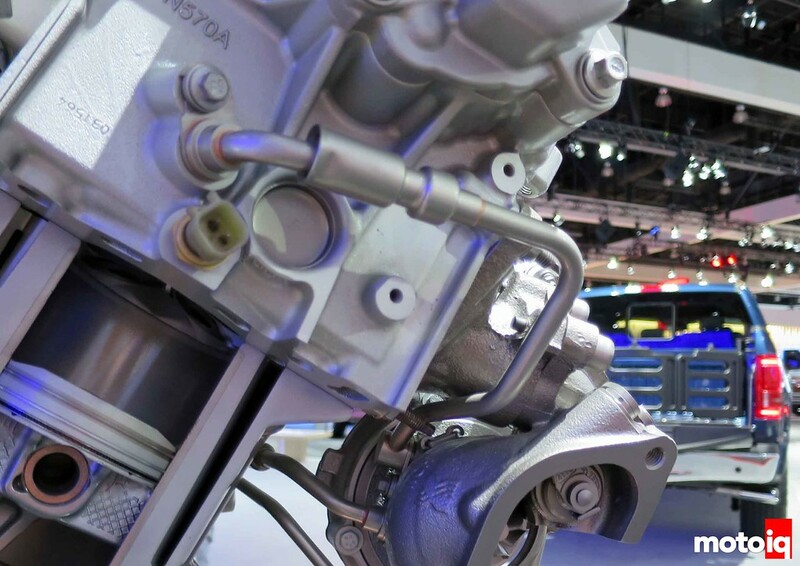 The wastegate arm travels in an arc, whereas the actuator goes straight, hence the need for the link. The standard pressure actuator we’re all familiar with has a gimble which allows the actuator rod to angle. There is one turbo for each bank of three cylinders, so a single scroll turbo is used. Looking at the turbine wheel, it has a full back disk for maximum efficiency and therefore power. It does have the trade-off of a bit more mass and inertia. The oil drain tube has a bellows joint to allow for thermal expansion and vibrations. This tube should be the coolant line for the turbo being fed from the cylinder head. I’d guess that’s a coolant temperature sensor right underneath the tube port. Looking at the wastegate flapper, it has a single flat plate to provide anti-rotation so the flapper doesn’t spin itself off. AEM AQ1 – Affordable Data Logging and More!